Back to my Monday morning. It’s our first full day and we set sail after breakfast from the canal summit at Escommes, 1250 feet above sea level and cruise to Vandenesse-en-Auxois. What a beautiful morning cruise, a great start! After lunch, it’s time for our afternoon excursion to nearby Chateau de Bussy-Rabutin and here we see the portrait gallery created by the disgraced courtier of King Louis XIV and stroll around the gardens enjoying views of the chateau and its moat. Back to the barge where canapés and cocktails await our return. The following day, I’m up bright and early for our cruise to Pont d’Ouche crossing the only canal bridge on the Burgundy canal. This is a perfect day for a walk along the towpath. After another splendid lunch, we visit the medieval village, craft shops and castle of Chateauneuf-en-Auxois, once an outpost of the Duke of Burgundy. By day four, Wednesday, after a short morning cruise, we’re deep into the Burgundy wine region and our excursion today is to the famous vineyard owned by the Domain Bouchard Pere et Fils. European Waterways arranged for a wine expert to accompany us, which was an interesting insight into the production of the domaine’s Grand Cru and Premier Cru wines. 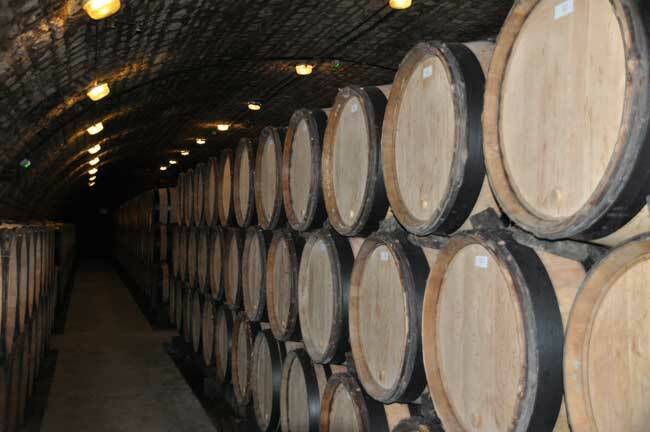 An exclusive wine tasting session and tour of the cellars at the Chateau de Beaune is followed by a gastronomic lunch in the orangery and a couple of hours to explore on our own the delightfully French town of Beaune. By Thursday, we’re totally relaxed enjoying every moment of this barge cruise which today takes us to Gissey-sur-Ouche, again with plenty of opportunity to walk or cycle alongside. We cycle between two or three locks then head back onboard to relax on the sun deck with a glass of wine as we gently slide past sleepy villages and pretty lock houses. I make a mental note to ask Daniel how many locks we have now passed through, but promptly forget as Carolyn’s busy topping up our glasses and bringing snacks. I estimate we’ve probably done about 20 or 30 locks and get back to watching the Burgundy world go by in the sunshine. After lunch we visit picturesque Clos de Vougeot, headquarters of the esteemed Chevaliers du Tastevin, who award a special prized label to the finest Cote d’Or vintages every year. 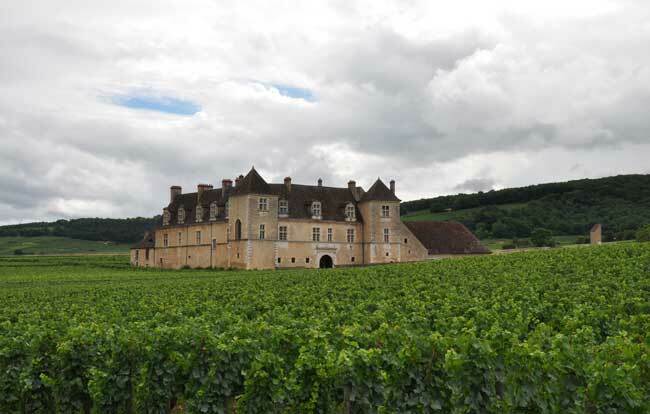 On the way back to the barge there’s another private wine tasting, this time the fine Burgundy wines of Chateau Andre Ziltener, a family run winery built on the foundations of an old Cistercian abbey. There’s an opportunity to purchase many of the wines with shipping arranged to any destination in the world. That evening before dinner during one of his regular information updates, Daniel announces we will be choosing our own lunch tomorrow in the produce market of Dijon. But for now its time for after dinner drinks and a soak in the spa pool. Friday and Joss joins us for the first part of our walking tour of Dijon. Here we visit the market and everyone gets a chance to choose what he or she would like to eat for lunch. Joss returns to the barge loaded up whilst we continue with some excellent shopping time exploring the many mustard shops and the impressive Notre-Dame de Dijon. Returning to our barge, it’s time for our Dijon market extravaganza lunch – quiche lorraine, prawns, mussels, radish, green salad, pate, cheese selections, raspberry gateau and pear and caramel alongside a fine Saint Romain white wine and a red Fleurie. 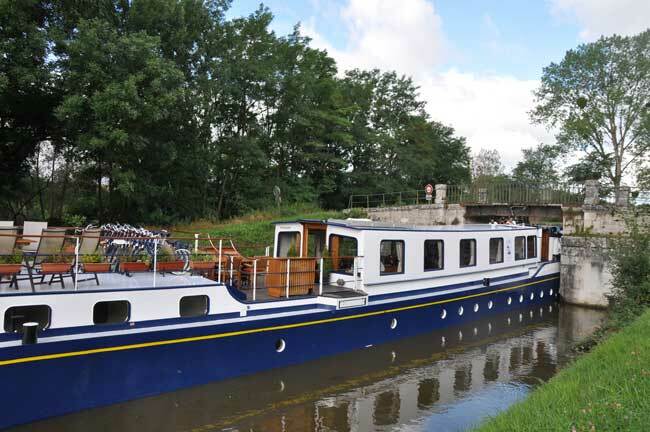 This afternoon, we cruise to our final mooring at Fleurey-sur-Ouche and the splendid Captain’s farewell dinner onboard. 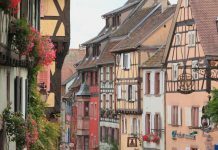 Barging through Burgundy was a fabulous experience and I wouldn’t hesitate to recommend it. My wife and I considered this to be one of our best holidays, we loved every minute. The highly professional crew on L’Impressionniste worked together as a team providing guests with a friendly service and experience that I would describe as outstanding. Nothing was too much trouble, and guests were treated like royalty. European Waterways delivered a specialised and professional service from start to finish and we will remember this cruise for many years to come. It was a superb way to see some of Europe’s finest scenery, and experience the history and local culture onboard one of the many luxury hotel barges in the fleet. 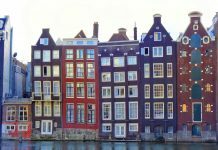 European Waterways offer many cruise itineraries covering France, Holland, Italy, the U.K., Ireland, Belgium, Luxembourg and Germany. Thank you to Daniel and his wonderful team for making this such a special holiday. Here’s to next time! European Waterways offer luxury hotel barging. Prices for a six-night cruise aboard the hotel barge L’Impressionniste are from £3450 pp in a twin/double cabin, including all meals, wines, an open bar, excursions and local transfers. Full barge charters are also available for families and groups.